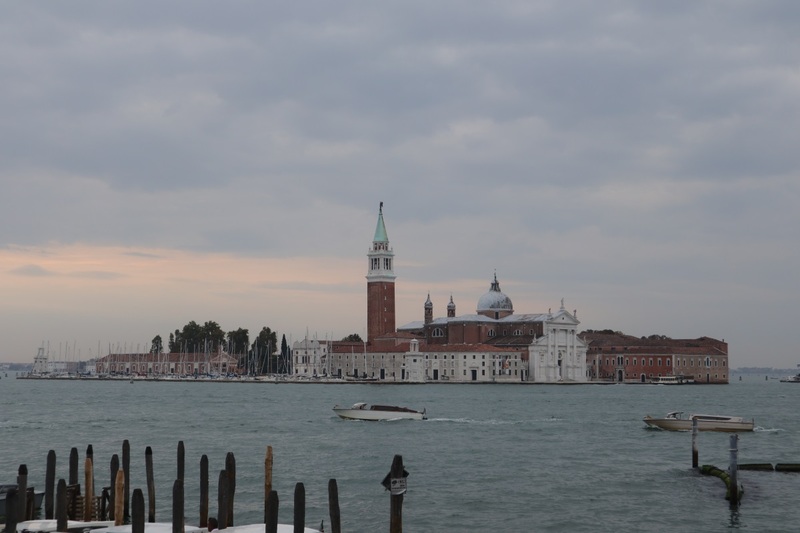 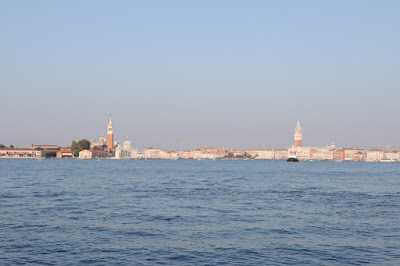 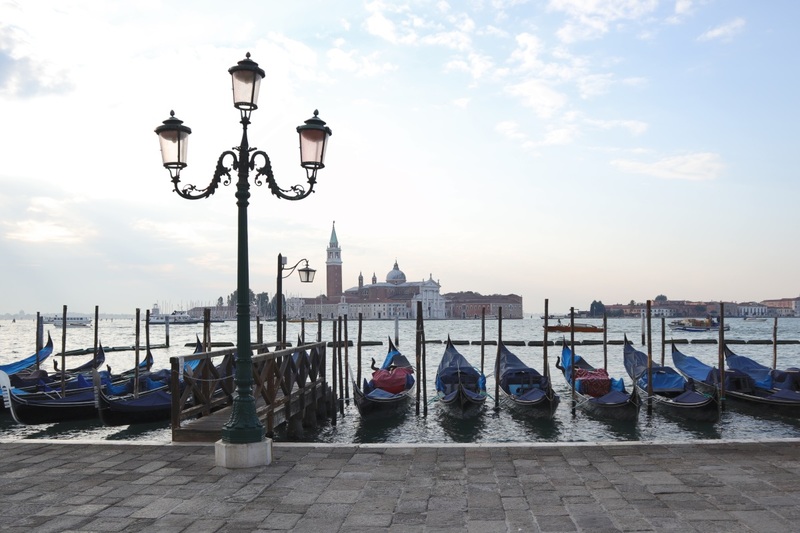 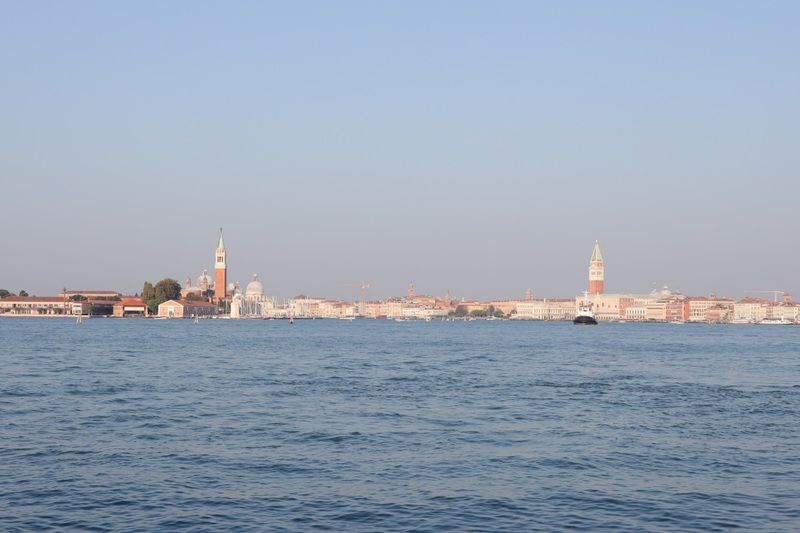 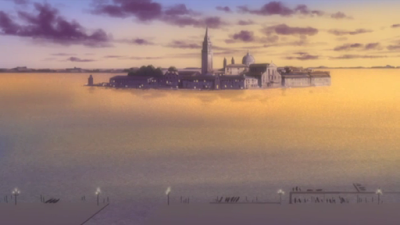 From Saint Mark's Square and along Saint Mark's Canal in Venice you can see the island of San Giorgio Maggiore which is shown in all the seasons of Aria. 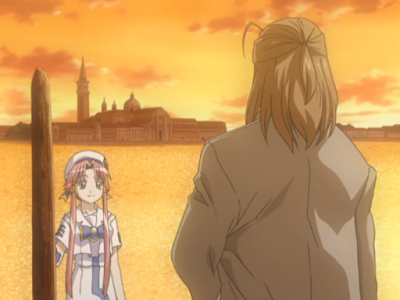 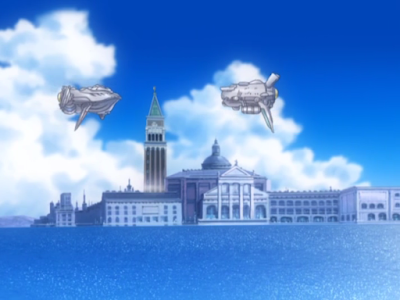 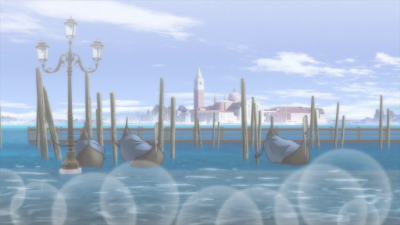 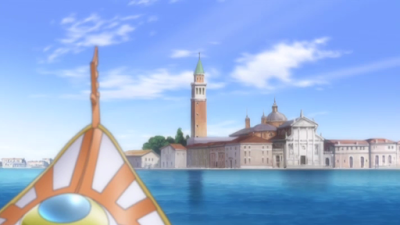 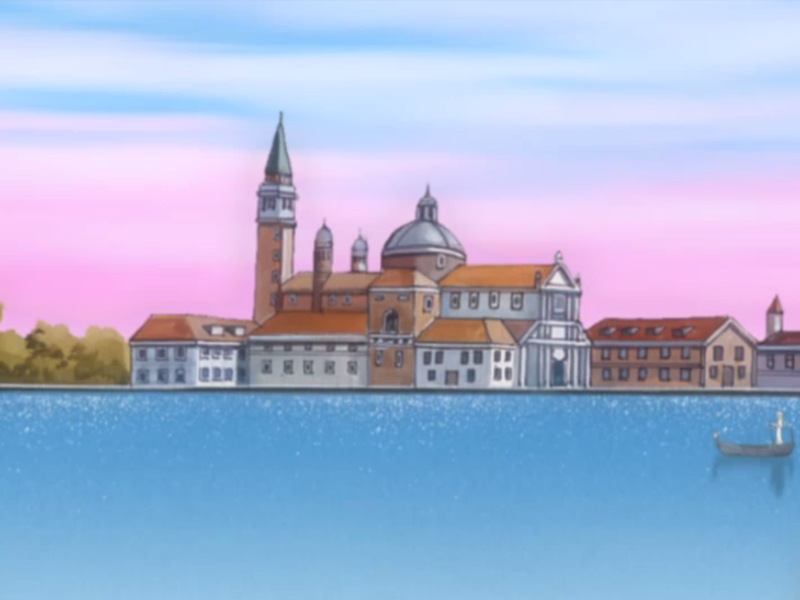 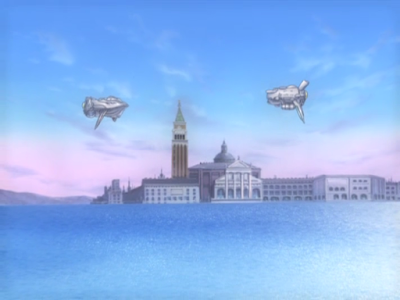 This shot of president Aria with the island in the background shown in the first season ED is down by the gondola docks at Saint Mark's Basin. 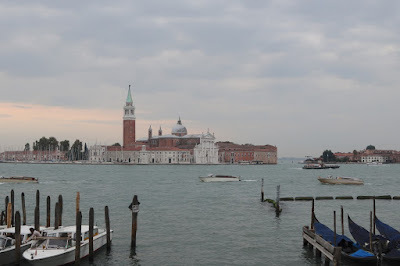 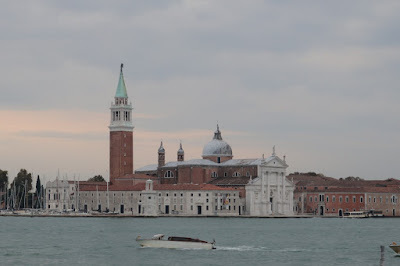 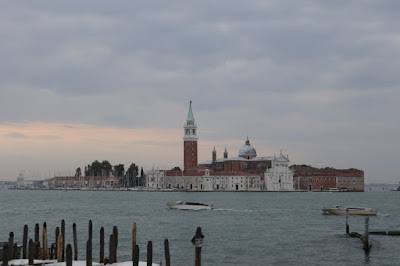 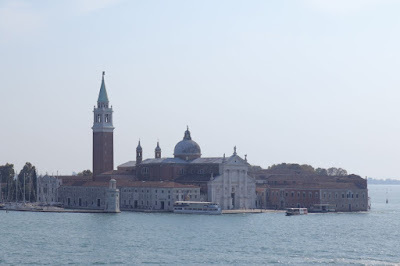 The building you can see on the island here is the Chiesa di San Giorgio Maggiore church. 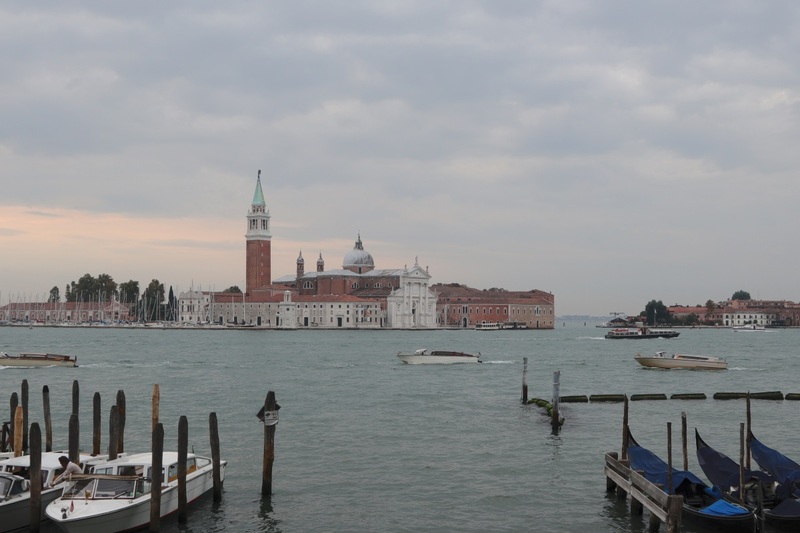 And from slightly further away. 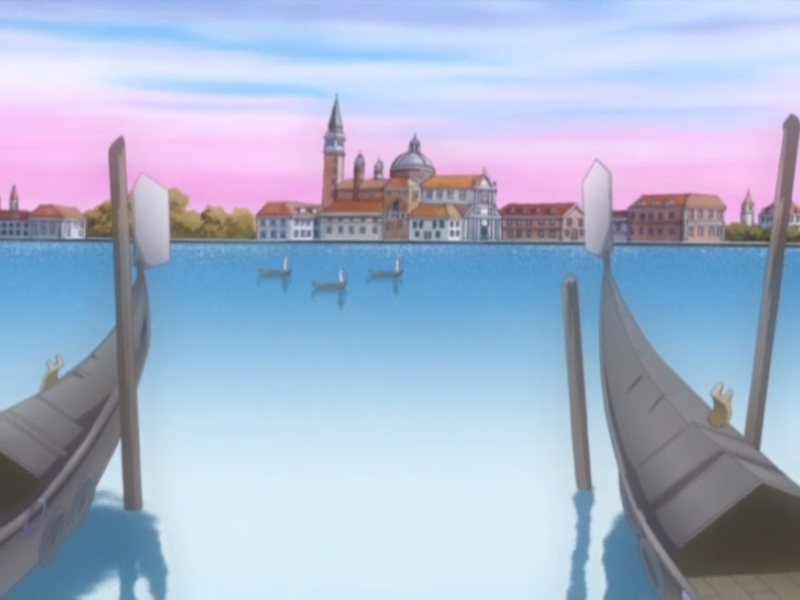 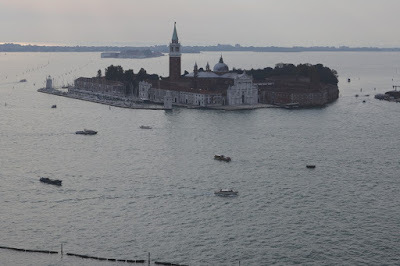 The island is on the left here and Saint Mark's Square and the Saint Mark's Canal on the right. 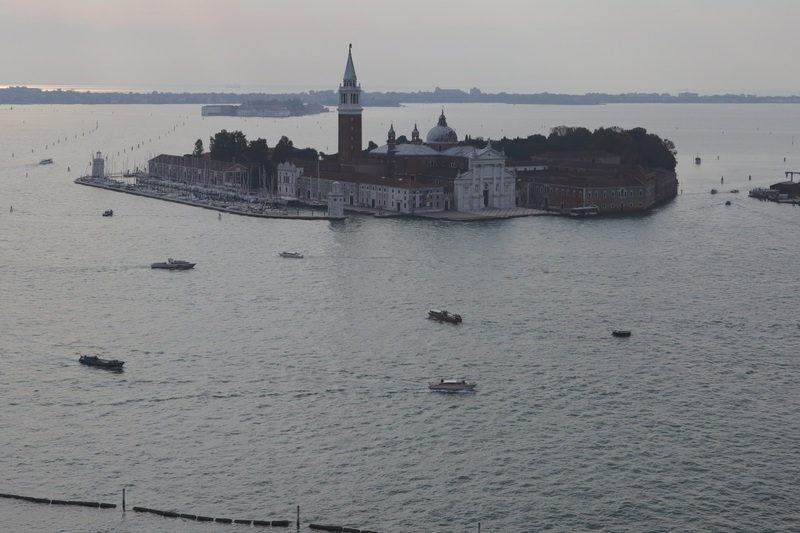 I took this picture at the top of Saint Mark's Campanile. 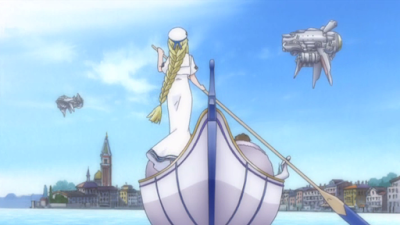 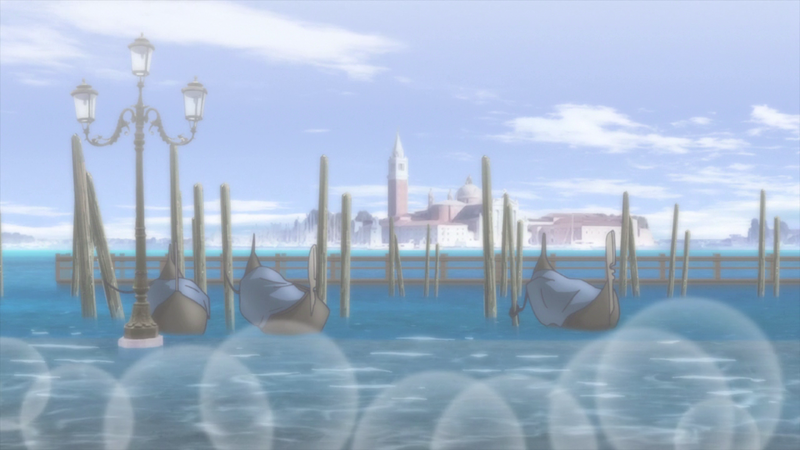 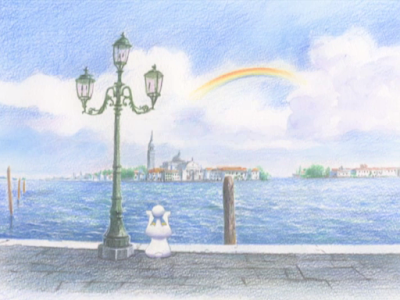 And finally a shot from the last episode of Aria the Avvenire.